"A member shall be required to subscribe to the following pledge upon joining American Stamp Dealers Association, Inc.
3. To refrain from dealing in stolen philatelic and counterfeit material, and to furnish buyers of repaired, regummed, reperforated, restored, reprinted or otherwise altered philatelic material with a complete written statement showing in detail the nature of the changes and alterations in such material. 4. 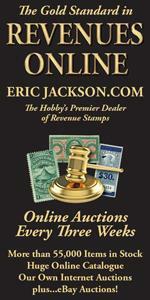 To purchase philatelic material from the public at reasonable prices, with due allowances for my risk and prevailing market conditions; to be truthful in my advertising; to refrain from denigrating my competitors; and to make no false claim to a policy or practice of generally underselling competitors.